I'm so excited to be the blogger to announce this! Kristen, the creator of Southerndoe, has launched a personal blog to document her journey as she "hikes" the Southerndoe "trail". 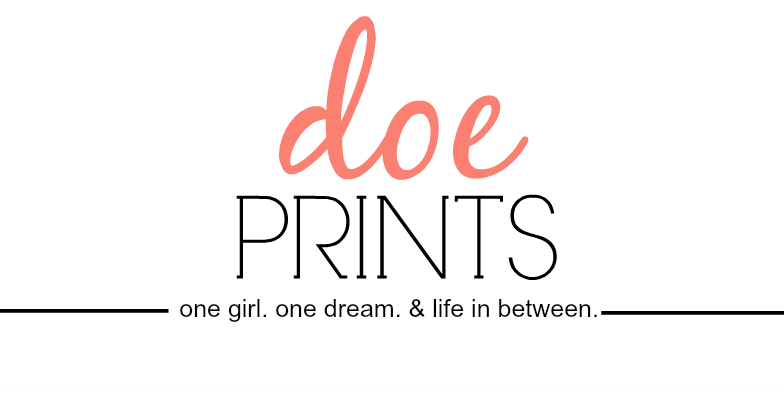 Befittingly titled Doe Prints, you can expect inspiration with every post. Kristen launched Southerndoe on New Year's Day of this year and is already spreading the confidence Southerndoe brings in fifteen states across the US! So what is a Southerndoe you ask? You can tell the world you're a Southerndoe by rocking a comfy tee marked with one of her famous sayings... "keep your soul clean and your boots dirty" ... "she can hold her own" ... or my favorite, "time to drink beer and dance on the tailgate". 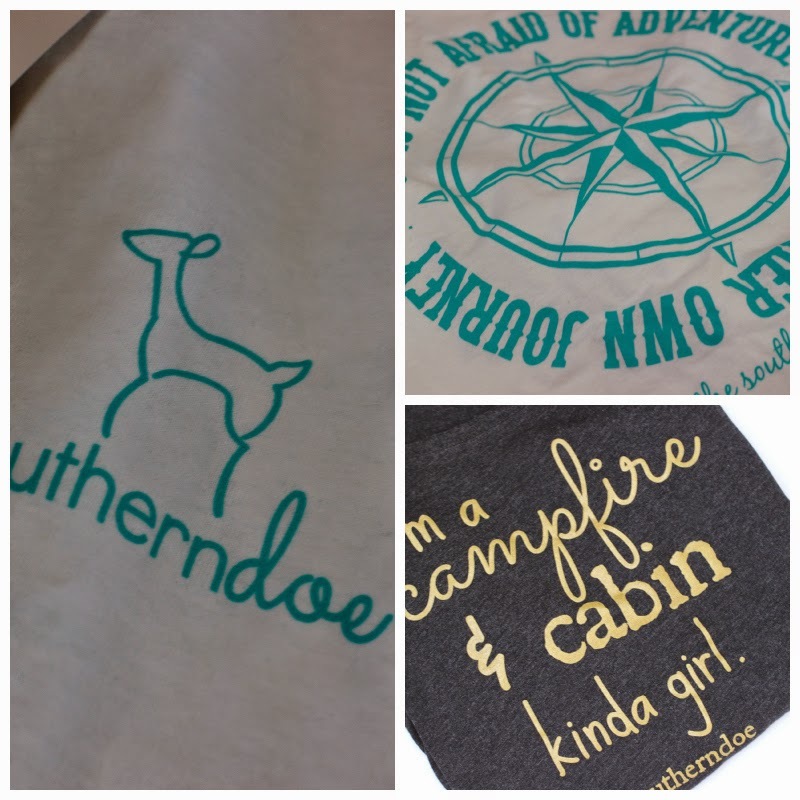 I recently picked up some items from Southerndoe's fall line. In all honestly I wear a one of my Southerndoe tees everyday, they're THAT comfy! 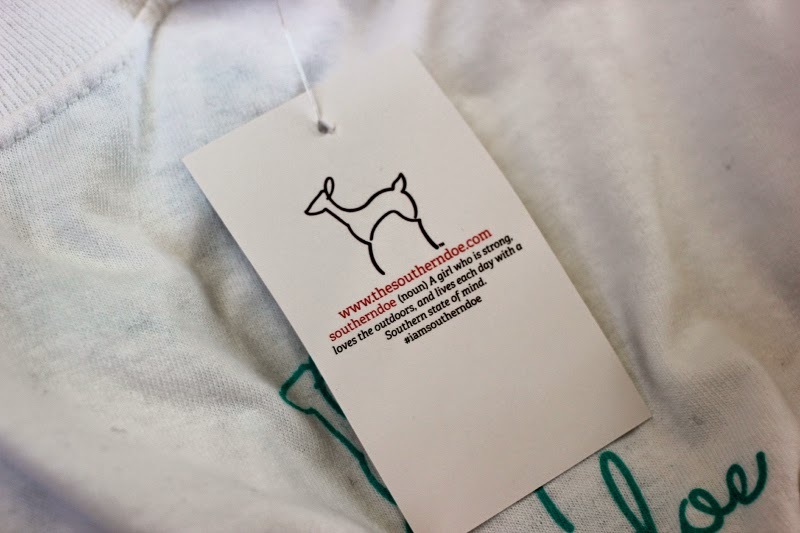 So go check out Doe Prints and follow Kristen as she spreads the word of Southerndoe! Review: Vine Vera + Giveaway!